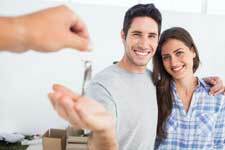 Getting ready to to buy your first home in Orange Park? It's a great venture to buy your first house. Of course with the euphoria is also some apprehension. If you're like most people, you'll probably want some expert guidance along the way -- and you'll certainly want an experienced agent looking out for your highest interests. I am absolutely qualified and ready in Orange Park real estate, and would love to help you purchase your first house. The process of buying a home has various steps. I'll be there for everything from finding the right home among all the properties available in Orange Park, to providing expert guidance on closing costs and everything in between. Need assistance with nailing down a shopping list of features and amenities that you want in your house, your community, and your school district? I'm the local expert, and would be honored to help. The financial elements of purchasing a house can be mind-boggling. I'll walk you through the various mortgages and home buying plans available. You can count on me to keep track of all the newest listings, and make sure I inform you of all the properties that seem like a good fit. I'll do my best to relieve all the strain that goes along with buying your home. I'm ready to work for you -- finding the ideal house in the Orange Park area is my business! Feel free to call me anytime at (904) 215-4432, or fill out the form to the right, and I will get back to you right away.